Three months down the track there is a major drama, everything goes wrong – the usual stuff – and the manager feels very threatened by it all. He remembers the parting words of his predecessor and opens the first envelope. The message inside says “Blame your predecessor!” He does this and gets off the hook. About half a year later, the company is experiencing a dip in sales, combined with serious product problems. The manager quickly opens the second envelope. The message read, “Reorganize!” This he does, and the company quickly rebounds. 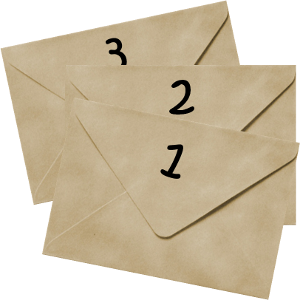 Three months later, at his next crisis, he opens the third envelope. The message inside says “Prepare three envelopes”.